Thus goes up the cry from many a small child, with their insatiable desire for the same bedtime story to be told, over and over (and over) again. But it’s not just little kiddies who do it. Scratch a reader and you will find a re-reader – but what is it we’re re-reading? And why? The winner of the gold medal, blue ribbon and all-around first prize for re-reading (re-readiness?) is the Scriptures; unsurprising given the emphasis so many traditions put on reading, re-reading, memorizing and internalizing the words of God. As Jesus said, these are “foundational words, words to build a life on.” But, leaving the Scriptures aside, as the best-seller lists do (since the same book invariably tops the list), what are the most popular re-reads? The comments on this post reminded me of the widespread passion for re-reading The Lord of the Rings – and not just re-reading it, but re-reading it again every year. That’s dedication, especially if you aren’t a fast reader. Some people re-read other classic novels such as Jane Austen’s Pride and Prejudice or Tolstoy’s Anna Karenina, although I have yet to hear of anyone who repeatedly reads War and Peace – apart from Countess Tolstoy, who apparently recopied and edited it seven times. That’s going above and beyond the call of duty, it seems to me. Bearing thirteen children is one thing; reading War and Peace seven times is quite another. Many people obsessively re-read C.S. Lewis’ The Chronicles of Narnia as children, and some continue the habit. I myself, as a child, re-read pretty much everything I could get my hands on, as I was a voracious reader with limited (re)sources. I even read our children’s encyclopaedia by the volume (Vol. 1, Article 1: Abbey, which may be connected to my subsequent interest in all things monastic). More recently, I have noticed a pattern to my re-reading. 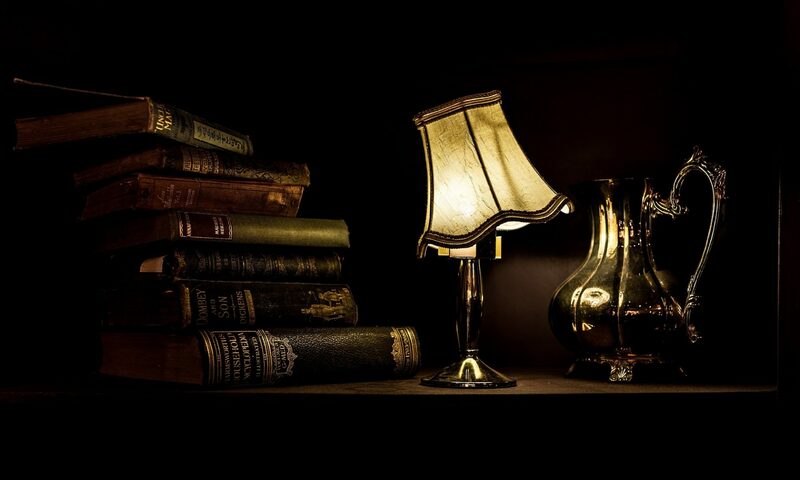 When I am tired and want to relax, I read either an old favourite – Agatha Christie, Patricia Wentworth, Ngaio Marsh, Ellis Peters – or a book by an author with whom I am sufficiently familiar to be sure I will enjoy the book. And yes, this means that when I want to relax I almost without exception curl up with a mystery (although I did curl up with The Curse of Chalion the other day). When I am not in need of book-induced relaxation – when I have more mental energy – I tend more toward the reading of non-fiction. Books about writing, books about whatever I have an interest in at the moment, books which happened to show up in an old box from someone’s grandmother. Reading entirely unfamiliar fiction doesn’t happen as often, unless the book is very compelling when I glance into it, because it doesn’t fit into either of my two settings: Relax or Absorb Information. But once I’ve read a non-fiction book, I seldom feel the inclination to re-read it, and I think this reveals something about why people re-read – or at least why I re-read. I re-read books because there is something in them which I cannot fully obtain from one reading. If it’s non-fiction, it’s because I didn’t absorb enough of the information it contained the first time round. With fiction, that doesn’t apply. I mean, look at the enormous popularity of P.G. Wodehouse’s novels. Read one, you’ve got a pretty good idea of them all, but that doesn’t stop people reading the rest and then re-reading them. Because the essence of the book isn’t in the facts of it, it’s in something altogether more evanescent. The style of the book, or perhaps its soul. You can’t break that down to its component parts to analyze why it works. The letter kills, but the spirit gives life, you could say. Or, to steal a structure from Maya Angelou, people will forget what the book said, they’ll forget what the characters did, but they will never forget how the book made them feel. And that, I am convinced, is the secret of all re-reading. Reading the book produced in us a feeling – and with great books it’s a feeling no other book creates – and re-reading the book is the only way to feel that again. This is how reading prescriptions work; and also why we have fan-fiction. What do you think? What books do you re-read, and why? Reading this post, I was wondering what makes me re-read. Then the Maya Angelou quote nailed it. It’s all about the feeling it creates. I’ve re-read the Harry Potter books more than any others. I’m obsessed with the world Rowling created. Anything that has that sense of magic makes me re-read. Interesting to see how many people love re-reading The Lord of the Rings! That’s a great point, and also explains why I will never go to the Potter World place at Disney World or wherever it is. I just know it won’t have the magic I’m looking for. I think your assessment is entirely accurate. I re-read both because there is more to a work than can be got the first time around, and also because of how a certain book makes me feel. My muse, especially, feeds on that underlying feeling whether I get it from books, games, music, nature, or anything else, and when the muse is hungry, it shall be fed (otherwise it turns even more nasty than usual). I hadn’t thought of the feeding-the-muse aspect, but you’re definitely on to something there. Who’s the reader of your audio-book version? The delightful Rob Inglis. Great reader, terrible singer. But that’s ok.